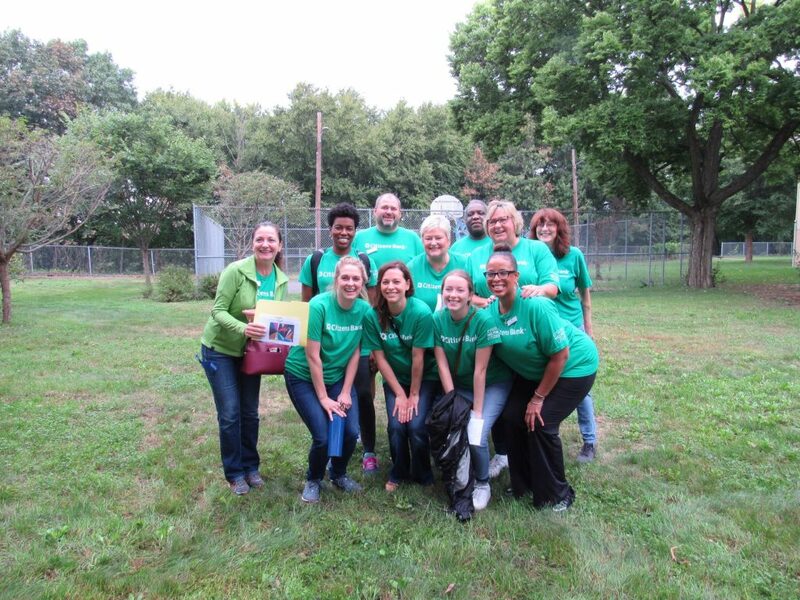 On Tuesday, September 18, 2018, fifty volunteers from Citizens Bank gathered at the Providence Housing Authority’s (PHA) Hartford Park development. 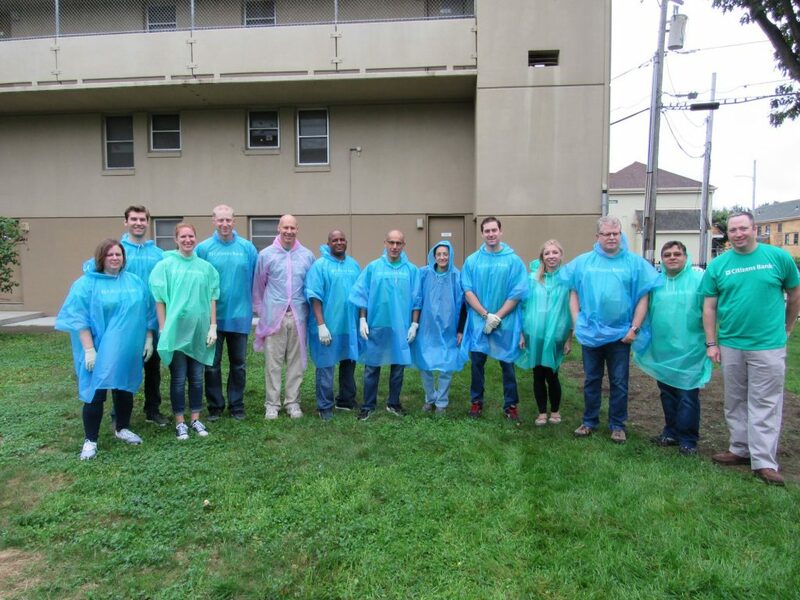 It was a rainy day but that didn’t stop the volunteers from beautifying the Wayland Street area of the property. According to the Citizen’s Bank website, they “believe that investing in the communities where we live and work enriches us all. 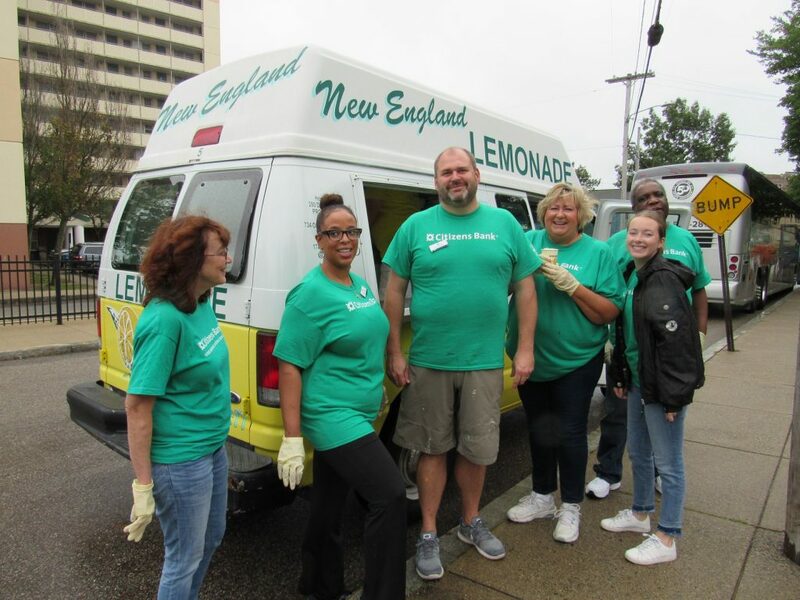 That’s why we give to organizations that are making a difference locally by enhancing quality of life and economic vitality in the communities we serve.” In 2017 alone, the Bank provided more than 114,000 hours of volunteer service in the communities they serve. 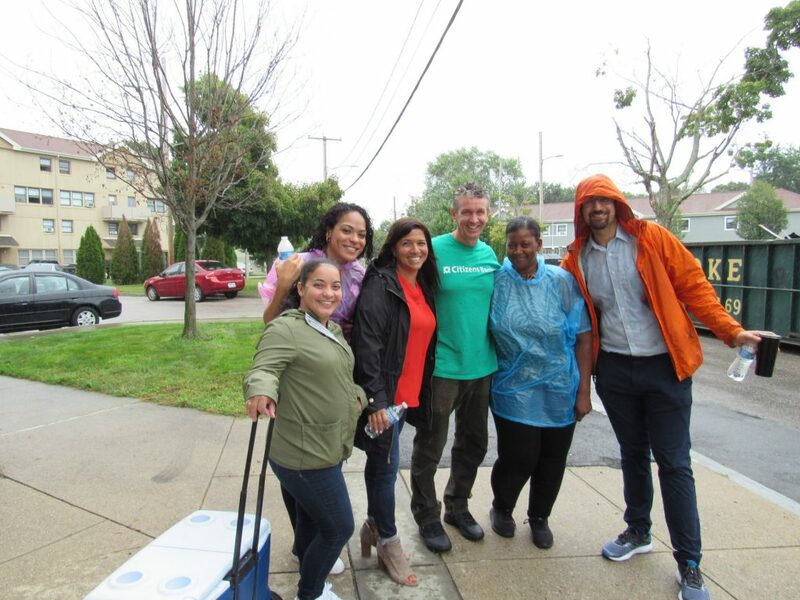 The Bank was connected to the PHA via partnering agency ONE Neighborhood Builders, a community development corporation supporting the Olneyville and Elmwood neighborhoods of Providence. 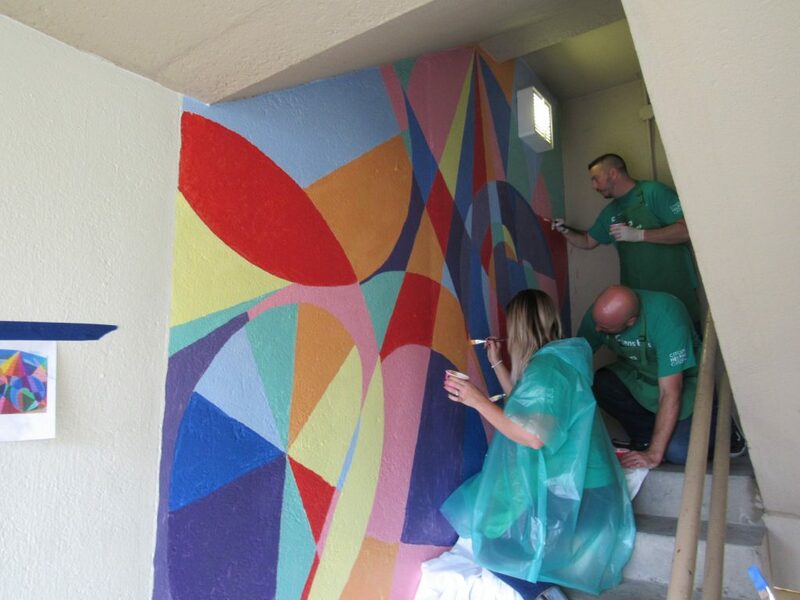 The timing could not have been better, as the PHA had recently developed a list of projects to engage the community in work around Hartford Park. 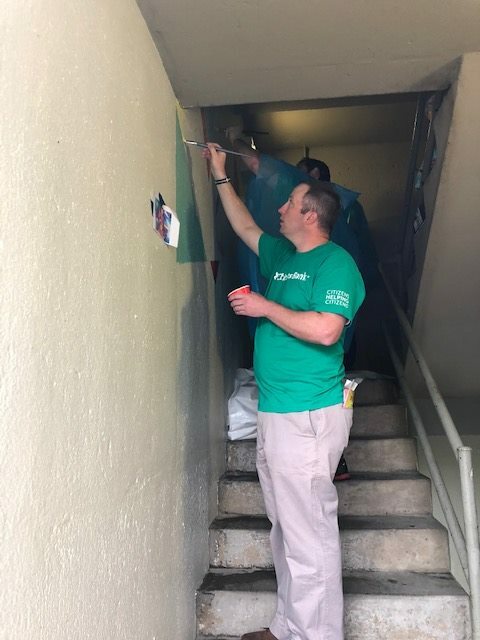 It was quickly decided that an infusion of volunteers would help kick start efforts and the PHA welcomed the volunteers to the site to assist in painting murals throughout the exterior hallways of several buildings. 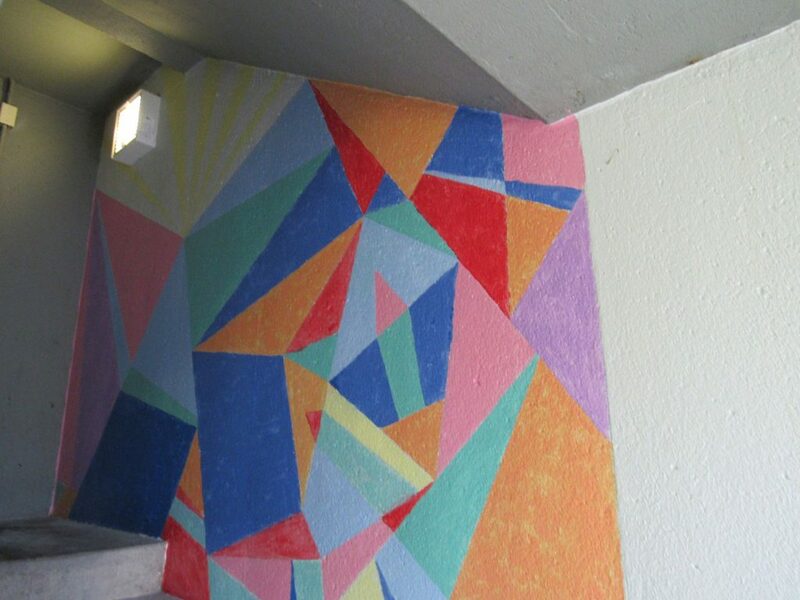 The murals were designed by artist Susan Greco, in consultation with residents. 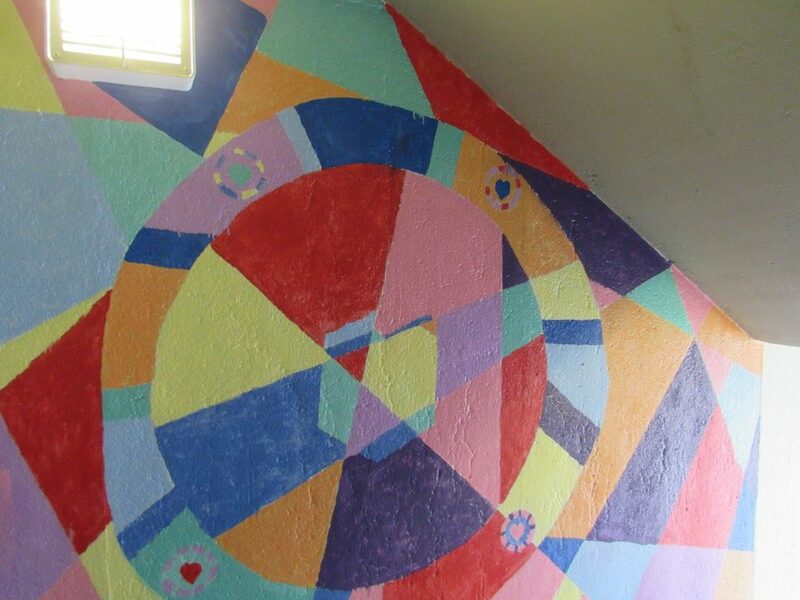 Sue is an artist, teacher, face painter, and entertainer. 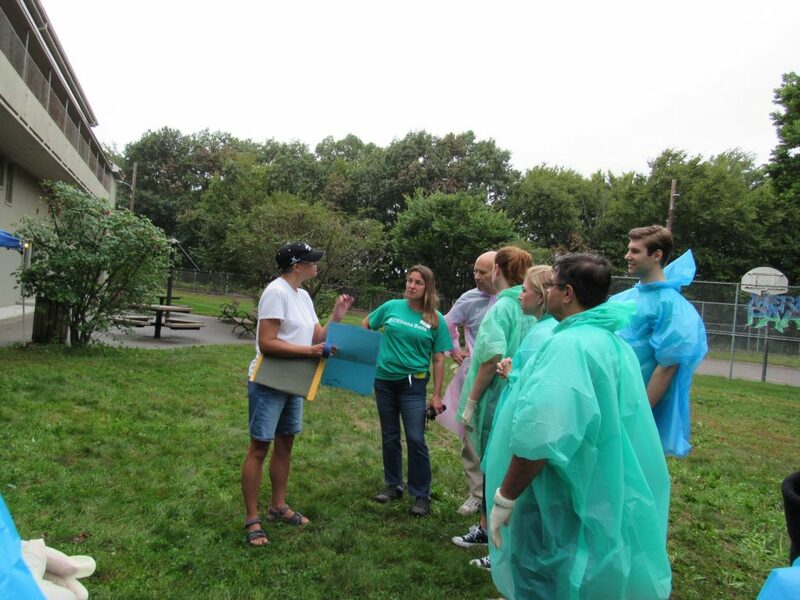 She has worked with the PHA for many years providing programming and support for our Resident Services Department and gladly jumped in for this exciting new project. 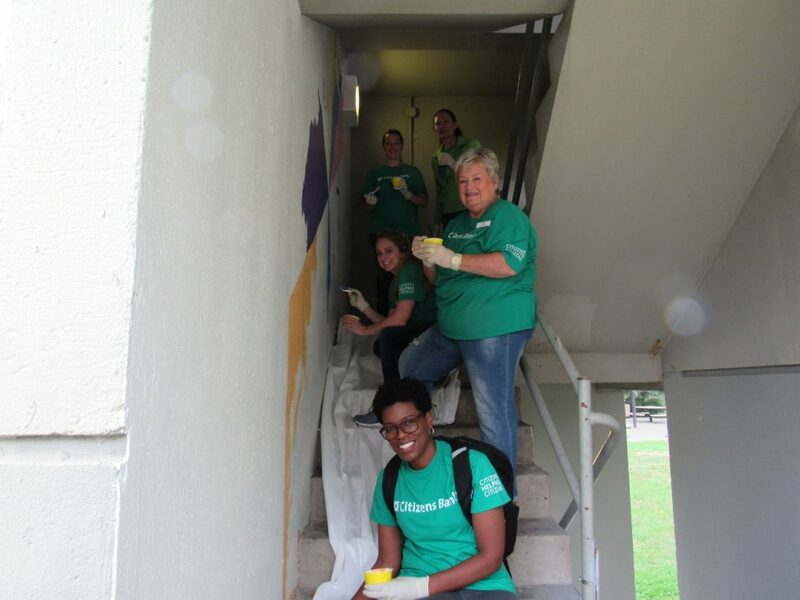 Our Facilities Management crews prepared nine locations and Sue outlined the murals on the walls to make it easier for the volunteers to paint. 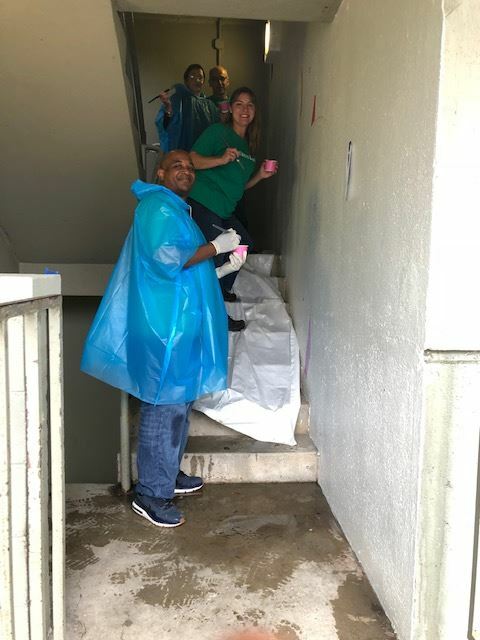 Volunteers donned ponchos and braved the rain to assist in painting the murals in hallways up and down Wayland Street. 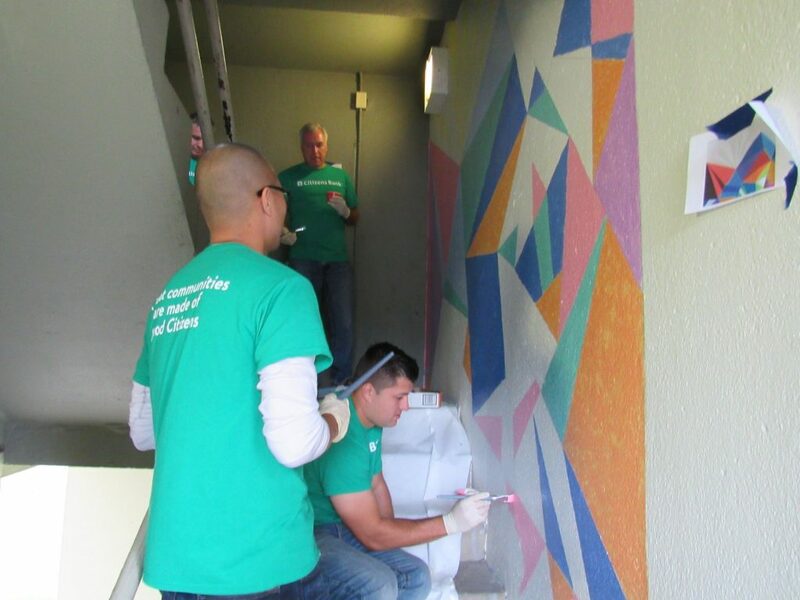 The project, part of the Bank’s “Citizens Helping Citizens” campaign, provided the agency with Bank volunteers and funding for materials and supplies to support PHA efforts. 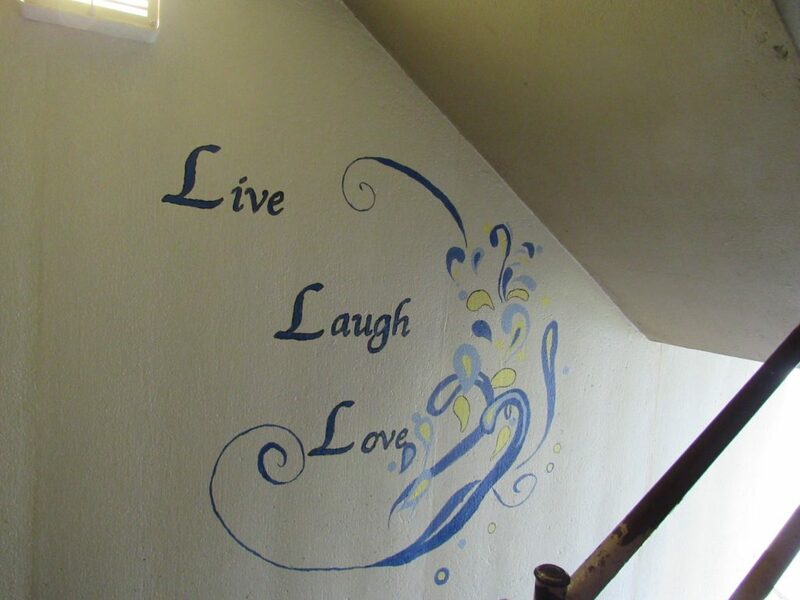 The murals they painted have been well received by residents of Hartford Park who love the bright colors and inspiration quotes that now line their stairwells.